In the past, when hardware in general and servers in particular were physically located in the premises of organizations and companies, setting up new servers or upgrading existing ones was one of the toughest IT tasks. In order to do so, the IT team often had to coordinate a full shutdown of the system until the setup and tests are completed. A process of this type had its price: the inability of the company to work during the shutdown, the work hours required by the internal and external teams of integrators, and the addition of expensive extra work hours to the IT costs. Setting up servers and new work environments resulted in onetime costs and long lead times. It also required IT managers to purchase new hardware and licenses and invest long hours in installing hardware. In contrast, today, in the age of Cloud Computing, the technological infrastructure allows integrators to offer their customers cloud based computing resources at the push of a button, without the need for large investments. Setting up a server takes several minutes, compared to whole days and weeks in the old model. Naturally, in order to achieve these savings, you have to rely on a high quality and automated cloud environment, such as Azure ICT Platform, which is offered to integrators by Y-tech Group. In a competitive world, the speed of your actions and reactions is highly important. The new cloud infrastructure Y-tech is offering integrators is based on a combination of high quality virtualization systems and an automation system that runs on top of these systems. Such a system only requires the running of an installation file before moving on to the next phases. The automation system relies on predefined scripts and allows the integrator to quickly set up new servers while simplifying and accelerating IT procedures in general. An integrator that uses Azure ICT for Integrators is able to set up a new server for its end client in 2-7 minutes, depending on the server’s type. Additionally, the integrator can set up several servers simultaneously and spare additional time. The integrator uses a pre-allocated amount of IT resources. The resources are purchased by the integrator through the platform, according to the integrator’s needs. They can be expanded at any time, depending of the service model selected by the integrator. Integrators can use the Pay As You Go model and manage allocations independently through the management dashboard. The result is a significant improvement in the speed of IT procedures that are performed by the integrator and the end customer alike. When the preparation of the new servers for the end customer is over, the servers connect automatically to the data center’s network, automatically receive an IP address and are already connected to the internet. At the same time, security policies and bandwidth are defined and managed by the integrator. At this stage, the security around the servers is already in place and. The servers automatically connect to assets such as CPU consumption monitoring system, memory, network and storage assets, in addition to extended security systems which include server level firewall and IDS. At the same time, there the integrator and the end-customer are also protected by the data center’s general data security layers behind the integrator’s main firewall. After this infrastructure is set up (which takes around 5 minutes in average) most of the work that is left is to associate the customer in the system to his or her network environment inside the integrator’s cloud. After that, it is possible to move on towards installing applications on the servers according to needs. 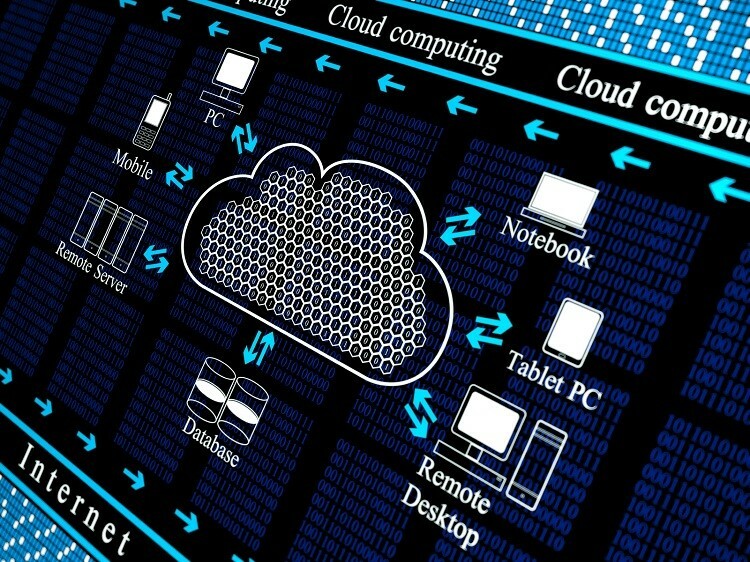 At this stage it is also possible to connect the customer’s offices directly to his or her cloud environment inside the integrator’s cloud, through a private communication line. This is done though Y-tech’s communication services, which are directly connected to the cloud environment. To achieve this, the integrator receives full control over the medium between the customer’s premises and the cloud servers. The connection is built over a private medium without an internet connection. As a result, the integrator provides the customer with high level performance and security capabilities, while receiving end-to-end control and over the entire solution, in addition to full monitoring capability. Y-tech Group’s Azure ICT for Integrators system is equipped with the IT and communication resources required to provide the capabilities we mentioned above. These resources are continuously expanded according to actual ongoing requirements. Y-tech offers physical systems equipped with the highest levels of computing, processing and memory capabilities, in addition to SSD based storage systems that provide massive IOPS capabilities. The connection is achieved through a Fiber 10Gb communication system with massive throughput and minimal latency. The combination of work speed that is achieved through the automation capabilities of the system and work speed that is achieved through the high performance of the system itself, delivers a winning solution. The solution allows the integrator to provide quick, reliable and high quality services, while exposing the integrator to new capabilities and business opportunities. Yossi Bar is a Senior Systems Engineer at Y-tech ICT. Bar is part of the team responsible for Azure ICT infrastructures and the creation of automation processes.